Great news, especially about the added S.Bus commands, been hoping they would implement those but didn't think it would ever happen. Time to update my remote control software (just in time as my stereo BMMCC rig has been laying dormant for a while since I dealt with other things like moving home). The genlock display is handy too, I had to build a control box with coloured bright LED indicators that showed Genlock status (or how far my two bodies are out of sync when Genlock isn't available, useful for 'workaround' stereo shooting). Thanks for the headsup VK. Added record start/stop trigger on HDMI output. Added HDMI timecode output support. Added indication to the user that camera is genlocked in the HDMI display overlay. Added option to change frame rate settings via S.Bus. Added option to change codec settings via S.Bus. Added option to toggle auto focus via S.Bus. Fixed issue with a small vertical pixel offset between HDMI output and RAW recording on Micro Cinema Camera. I appreciate it ,great info ! Just trying to point out that this cam was a great concept, but fell short with no global shutter as promised, cumbersome adapter cabling and late delivery. I flew this on a custom built X8 that was really designed for heavier loads. And while the SBUS setup allows to control and map nearly all camera control. That's instantly makes it a 2 man setup up. You need a separate cam op with a separate radio to actually control everything (i.e. exposure adjustments) since nearly all radios top out at 14-16 channels. For me personally, it wasn't viable to run this in a 1 man setup effectively. So while you're question isn't easy to answer in just a simple dollar amount due to all the variables to consider (and there are a ton). I'd guesstimate you're looking at $3-4k min to get this up in the air safely and effectively. And that's going the 2nd hand copter route. New would probably be north of $6-8k. The main reason you don't see it being used more in commercial work is that there are many other options with the bulk being either lower end or much higher end both in equipment and day rates. This one kind of got lost in the middle. Plus DJI is pretty much dominating the RTF market at the moment. Filthy not understanding your logic, the question was clearly regarding the micro cinema camera..thanks bro! Cheapest and flying cameras that can shoot RAW/Prores probably don't belong in the same sentence. 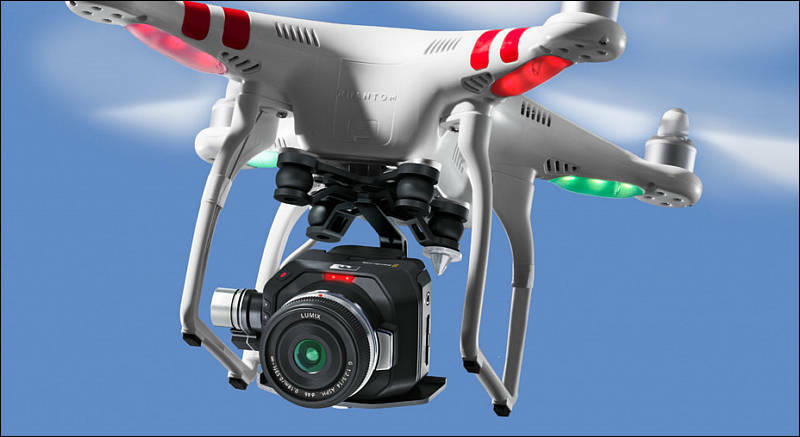 Reality is that if your clients truly need footage shot in these formats, then you're primary concern isn't the cheapest way to fly the camera. There really isn't an off the shelf solution for it. At the time, most pilots flying this cam were mounting it up on custom built rigs they already had (myself included). I only had it for a couple of months. Between the cumbersome adapter and more expensive workflow, it turned out to be not a good solution for my business. If you want cheap, look into the new Phantom 4 Pro. Complete solution can be had under $2k once you factor in extra lipos, tablet, case, etc. I've been using one on smaller gigs and it's an amazing piece of kit for the money. This doesn't of course included the cost and time involved in getting certified and insured. It's pretty insane to think about how far the tech has come in just a couple of years. As of today, whats the cheapest drone w gimbal solution that can fly the micro cinema camera? @filthy - you are spot on, I can't say it better. @woobirdy - you're comparing a camera that's been out in the field earning money for nearly year to a camera that isn't available yet? I too have an I2 on order. But the comparison makes no sense. The X5s is only light and compact because half of it is in the copter now. The micro offered 1080 60p RAW and Prores to SD cards 10-12 months ago for $1000 bucks. The X5s will cost over $3500 to capture RAW and Prores. And that doesn't even factor in the cost of the copter. Apples and oranges I think. @woobirdy - what is the "x5s"..? Edit: All right - it is a fancy DJI gimbal/camera. ordered the dji inspire 2 just dont see the point of the blackmagic micro camera now ,for drone use that is, with the x5s its so light and compact its crazy.. Anywhere is exactly where the Micro fits. By shaping the camera body a certain way, Blackmagic made certain this camera can fit into any corner. This single feature opens up the creative options when placing the camera for a shot. What the small size also means, to me, is the Micro Cinema Camera becomes the Point Of View camera for productions ranging from super low-budget to a Hollywood feature. Hey, if the Blackmagic Pocket Camera can be used on the film “Furious 7” then the Micro Cinema Camera can be used as well. On youtube you just find samples. On eoshd they talk about fpn and a work around in Davinci Resolve. That doesn't sound usable for me. As far I do remember Philip Bloom did 3 reviews(answering updates in firmware) on the bmpcc to be finaly happy. What I'm missing is someone trying to use this beauty and sharing it's failures. What you mean under serious reviews? any serious reviews out there? any news or rumors about future discounts or price drops for this camera?